The Auto Hobby Shop offers a full array of equipment, tools and working space for do-it-yourself maintenance and repair to personal vehicles. We have twelve stalls which include 6 lifts, 3 major stalls, and 3 minor stalls. These stalls are available for customer use for auto repairs and each stall is equipped with all the standard/metric tools necessary to complete your repairs. We also have a new lift for ATVs and Motorcycles for your maintenance needs. The lifts can be used to perform oil changes, tune ups, brakes or a safety inspection. The lifts will handle up to 9000 lbs vehicle weight. We offer instruction for DIY service work such as brake drum and rotor turning, computerized wheel balancing and AC maintenance. We also have an engine diagnostic machine and wheel alignment. These DIY services are available to all military, retirees, civilians and contractors with base access. Participants will learn the basics of good vehicle maintenance. Learn how to operate a lift, change your oil, and check and balance your tires. Call the Auto Hobby Shop at 275-AUTO (2886) for more information. We are also a Smog Certified Test Center. Please note we are not a Smog Test Only or Gold Shield center. Price for smog test is $50.00. 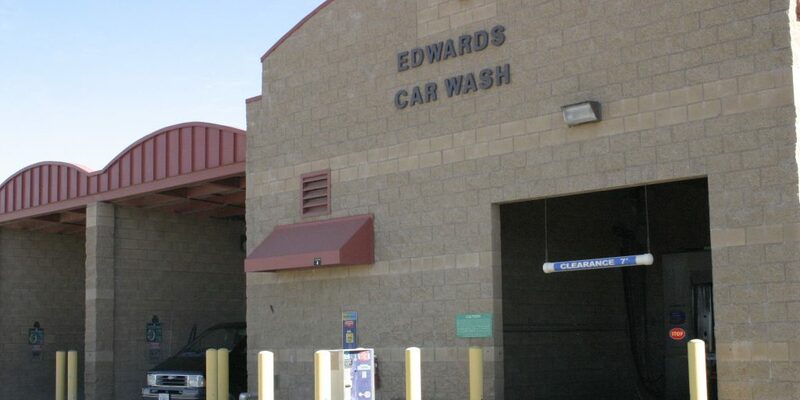 Our full service car wash is located on Fitzgerald Blvd near High Desert Lanes. It is open 24/7 and offers an automatic car wash, three bay wash areas and four vacuum stations. We have a coin changer machine located on the premises for your convenience. We would like to hear your ideas and comments, call 275-AUTO or 275-2886 or go to ICE to fill out a digital/comment survey card.